New L.L.C. comes weeks after announcing new Detroit campus. 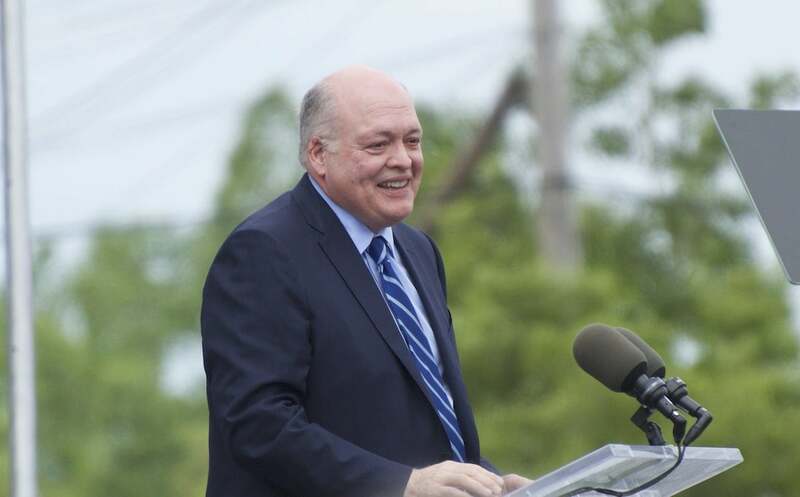 Less than a month after Ford CEO Jim Hackett, left, and Bill Ford, announced plans for a Detroit campus, Hackett unveiled Ford Autonomous Vehicles L.L.C. 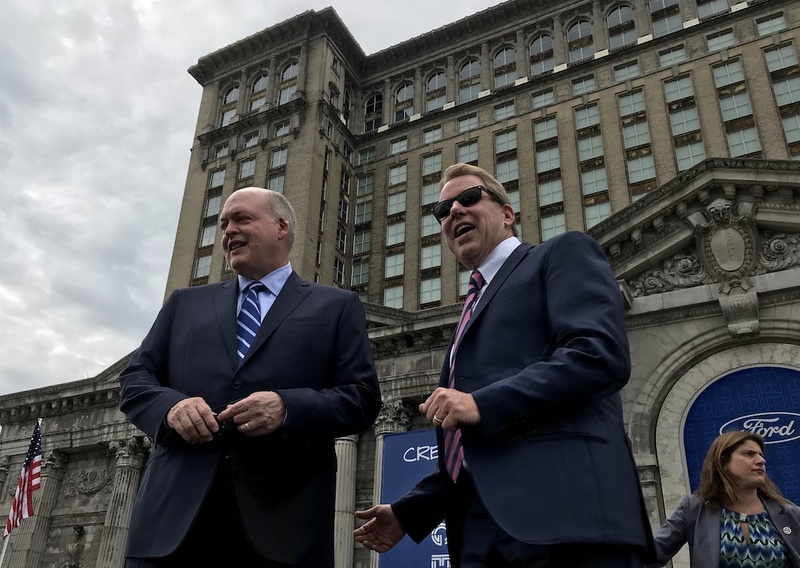 Less than a month after inviting the world to look at the dilapidated former train station that will be the cornerstone of the campus for the company’s autonomous and electric vehicle operations, Ford charged ahead wih the endeavor creating Ford Autonomous Vehicles L.L.C. The new organization is charged with accelerating Ford’s AV business to capitalize on market opportunities, and the company’s not just taking a flyer on this business: it plans to roll $4 billion into the effort. 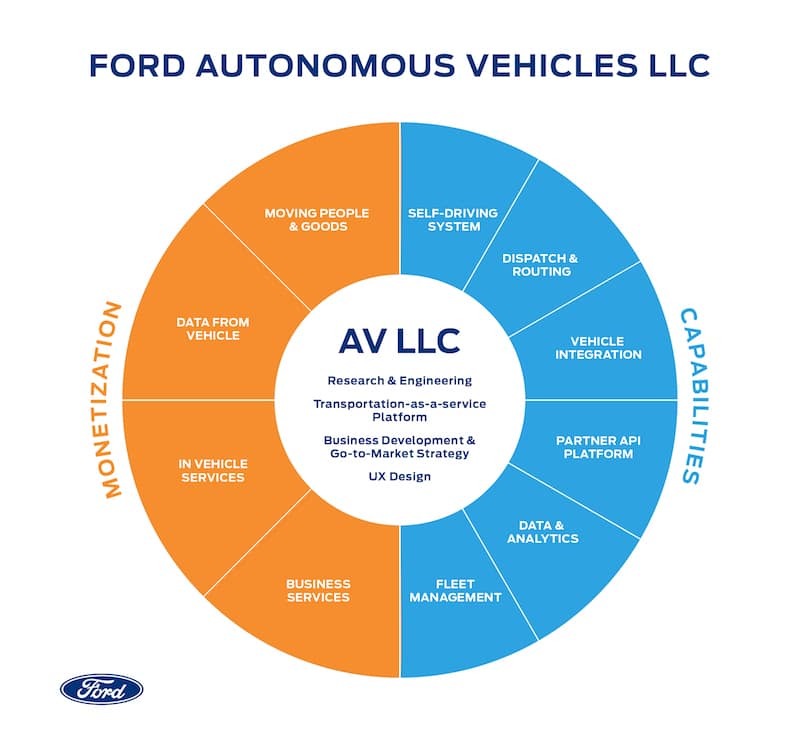 Ford Autonomous Vehicles LLC includes the company’s self-driving systems integration, autonomous vehicle research and advanced engineering, AV transportation-as-a-service network development, user experience, business strategy and business development teams. The new LLC, which is structured to take on third party investment, will be primarily based at Ford’s Corktown campus in Detroit and will hold Ford’s ownership stake in Argo AI, the company’s Pittsburgh-based partner for self-driving system development. 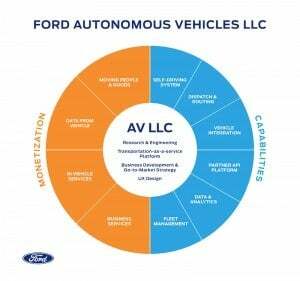 Ford’s $4 billion in its AV efforts through 2023, includes its $1 billion investment in Argo AI. Sherif Marakby, currently Ford vice president, Autonomous Vehicles and Electrification, is now the CEO of Ford Autonomous Vehicles LLC. He reports to a board of directors chaired by Marcy Klevorn, Ford’s executive vice president and president, Mobility. The closer alignment of the self-driving platform and the mobility solutions teams will allow faster development of businesses that can thrive in the pre- and post-autonomous vehicle worlds, the company said. Ted Cannis, global director, electrification, will lead Ford’s Team Edison with Marakby’s move. The team, which is responsible for developing and bringing to market next-generation electric vehicles, continues reporting to Jim Farley, executive vice president and president, Global Markets. Concurrent with those changes, Ford is also reorganizing its global operations division led by Joe Hinrichs. It now includes Ford’s information technology business, as well as the global order-to-delivery system. CIO Jeff Lemmer reports to Hinrichs. Hinrichs will be tasked with development a system to help Ford utilize data and technology to improve Ford internally, as well as the products it offers. Hau Thai-Tang, executive vice president of product development, will now report directly to Hackett, and will lead teams as Ford moves to a flexible vehicle architecture plan announced in the first quarter of 2018. The company aims to cut product development time by 20% by using five architectures across its future line up: body-on-frame, front-wheel-drive unibody, rear-wheel-drive unibody, commercial van unibody and battery electric. All of the changes are effective Aug. 1. This entry was posted on Tuesday, July 24th, 2018 at and is filed under Automakers, Automobiles, Autonomous Driving, Business, Driverless Vehicles, EVs, Electrified Vehicles, Executives, Ford, Funding, Personalities, Semi-autonomous Driving, Technology. You can follow any responses to this entry through the RSS 2.0 feed. Both comments and pings are currently closed.